An introduction to this section on local healthcare. The 70th Anniversary of the NHS is in June 2018. With a new super hospital currently being built in Smethwick – to be called The Midland Metropolitan Hospital, which will serve both Sandwell and Birmingham – we thought it would be an appropriate time to share some reminiscences of healthcare in the local area. Before the National Health Service was established in 1948, patients were generally required to pay for their healthcare. Some areas like West Bromwich ran hospitals for local ratepayers under a system originating for the Poor Law. Sandwell General Hospital began as an infirmary, which was added to the West Bromwich union workhouse in 1884. 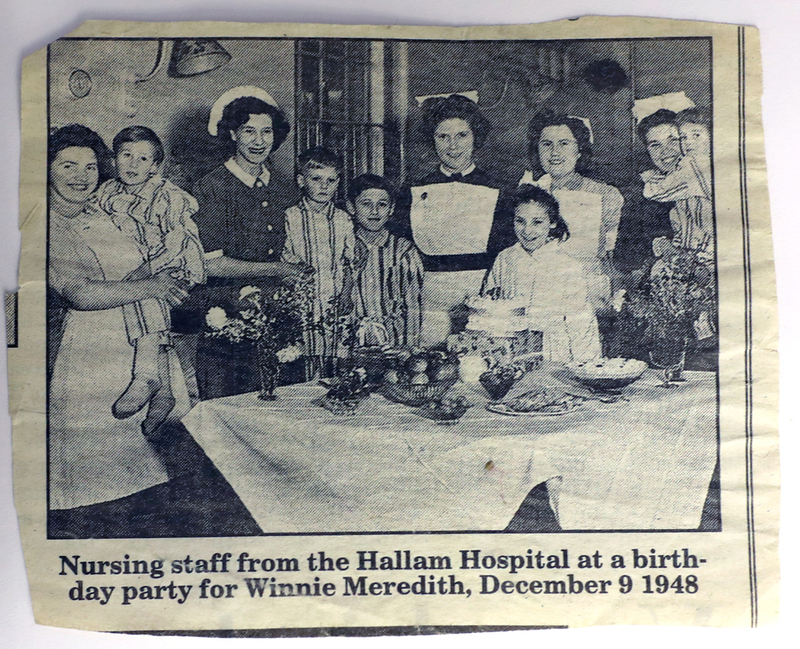 Improvements were made in 1925, when the infirmary then became a separate institution named Hallam Hospital. At this time, the hospital specialised in the treatment of infectious disease. In 1927, a Nurses’ Home was added. A hospital library was started in the Second World War for the steady stream of war-wounded sent to the hospital during these years. The other hospital in the town, the Edward Street Hospital, currently provides 24-hour care and support to older people with mental health needs such as dementia, depression and anxiety. Previously this was known as the District General Hospital, founded in 1869. The hospital was built by penny subscriptions of local people in the town. It was bombed in November 1940. 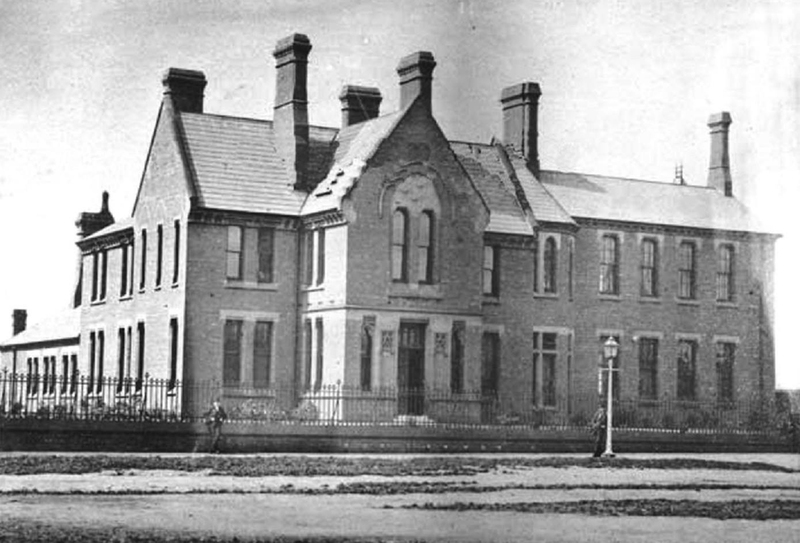 West Bromwich District Hospital, Edward Street, shortly after building in 1870 (Sandwell Archives). 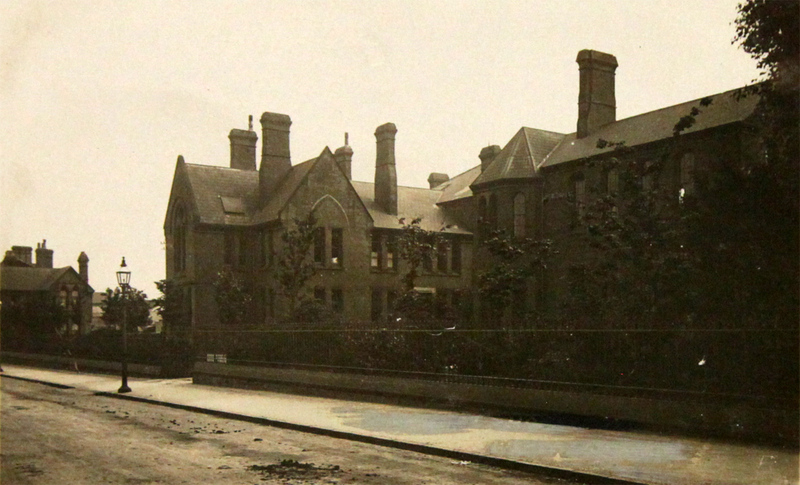 View of Edward Street Hospital, 1935 (Sandwell Archives). ‘In the 1950s Hallam Hospital made its first radio broadcast when the husbands of the Women’s Royal Voluntary Service provided a football commentary service to patients, live from nearby West Bromwich Albion. 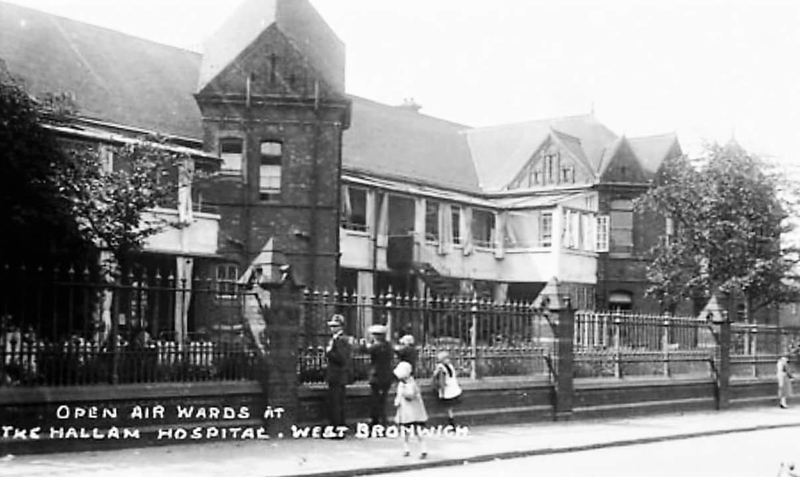 The decade also saw the forming of West Bromwich Friends of the Hospitals, a volunteer group for the three local hospitals of the time: Hallam Hospital, Heath Lane Hospital and West Bromwich and District Hospital. These volunteers helped raise money for the hospitals, knitted operation stockings and helped run a trolley shop and library service for the wards. 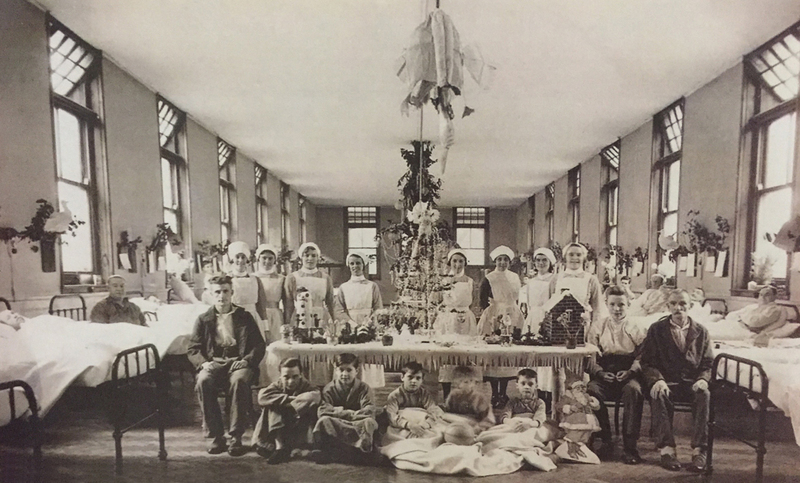 ‘The 1970s marked a decade of change for the hospital. Several new buildings were constructed to improve services, leading to the facility being renamed Sandwell District General Hospital. The new and improved hospital was opened by HRH Princess Alexandra of Kent in 1978. Patients were transferred over from the old Hallam Hospital buildings into the new hospital, though some of the old Hallam Hospital buildings remain in use today. Following a grant from Marks & Spencer in 1984, the Sandwell Hospital Radio studio was built in the courtyard garden and aired its first broadcast in January the following year. With the collapse of building firm, Carillion, in January 2018, work stopped on the site of the new £350 million super hospital, leaving it only two-thirds built, as this news report records. Serving some half a million people, it is now scheduled to open in 2020. The material in the ‘Hospital Stories’ section of this web site have been collected by Jenny Porter, who works at the Hallam site. 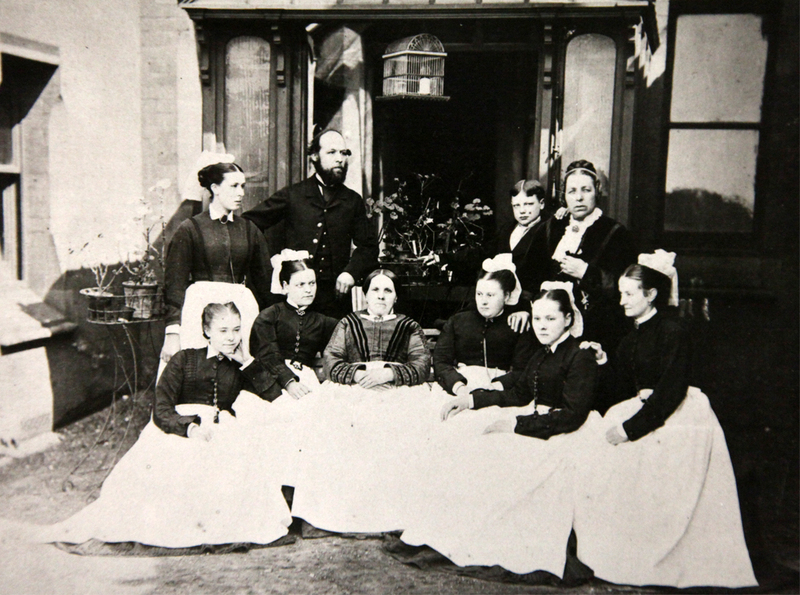 West Bromwich District Hospital staff, 1870 (Sandwell Archives). 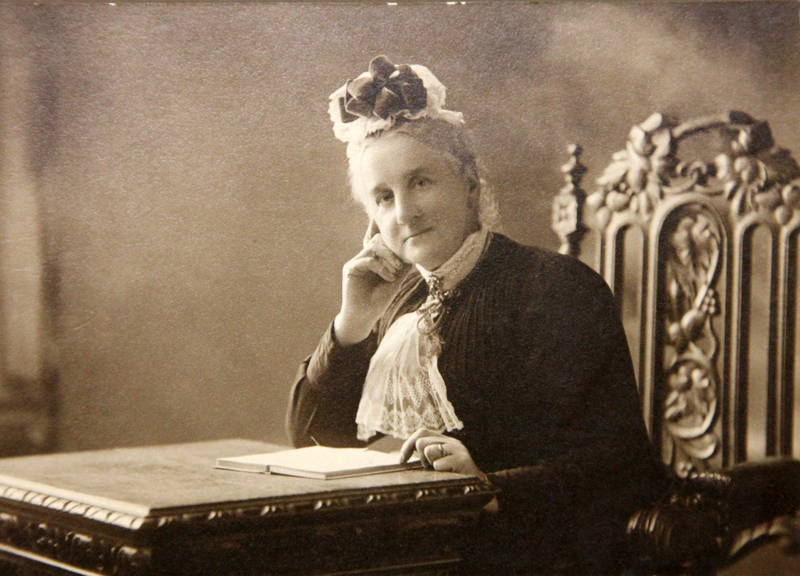 Mary Thomas, Wife of Robert Thomas, father of Evalyn Gertrude, 1900. 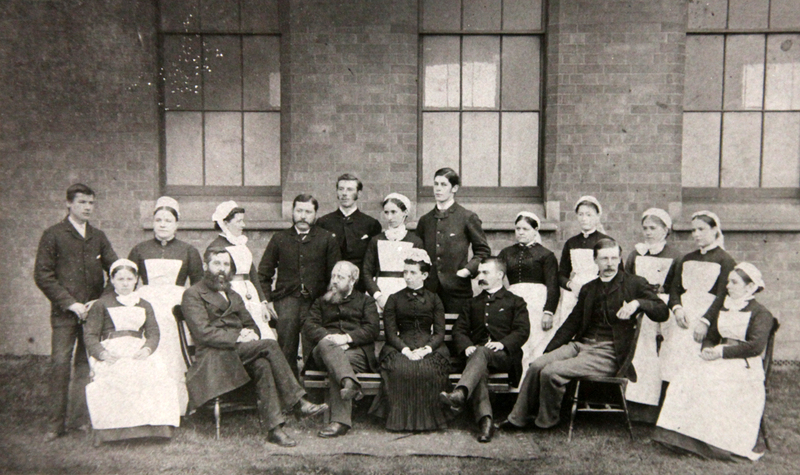 Staff at West Bromwich District, 1870 (Sandwell Archives). 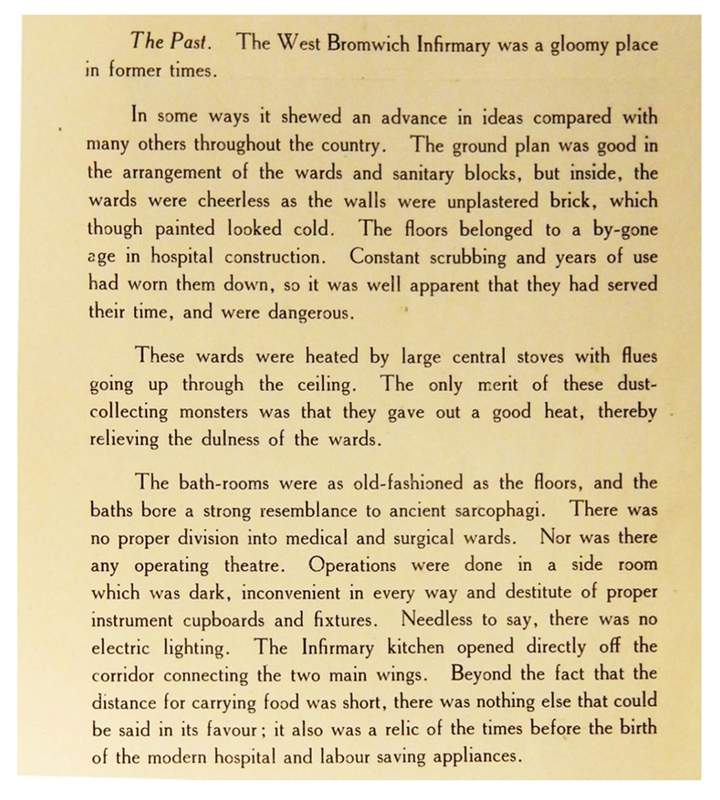 Description of Hallam Hospital in 1925. 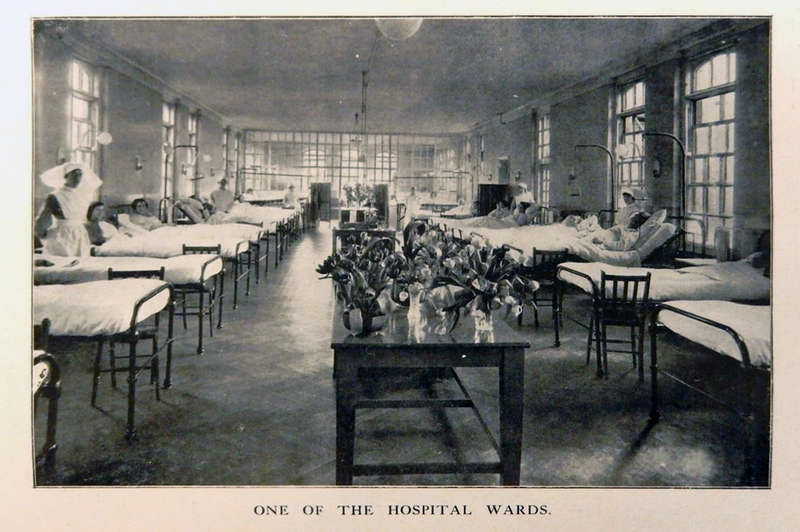 A ward in the old infirmary, updated for the new hospital, 1925. 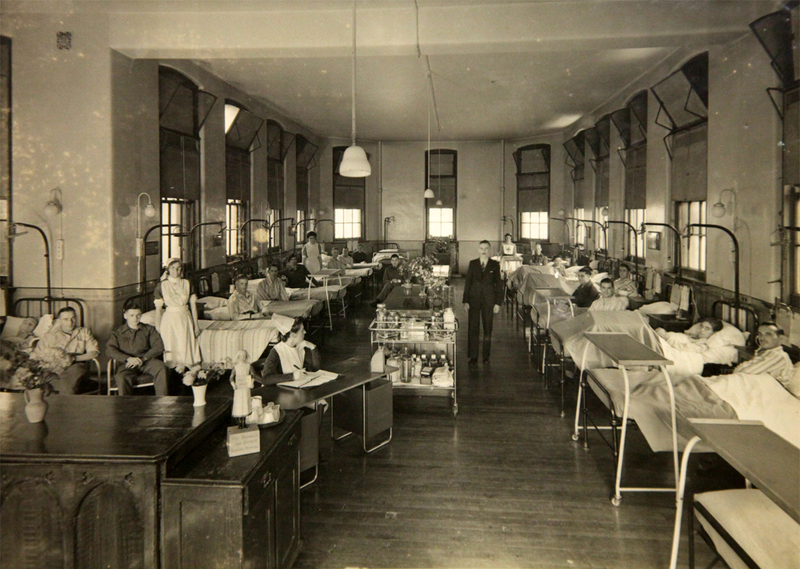 A view of a similar ward (possibly the same), date unknown. West Bromwich District Hospital, men’s ward, 1940.